For dedicated backpackers and thru-hikers, a small and lightweight tent that offers protection from the elements is the perfect shelter for use on the trail. 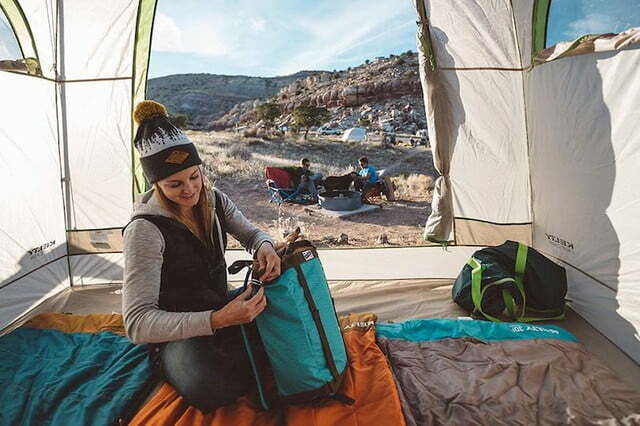 Those types of campers are more concerned with how much bulk a tent adds to their packs and are often willing to sacrifice a bit of comfort in favor of shaving off a few ounces of weight. But what about the rest of us who simply need a large, comfortable shelter for our weekend camping trips with friends and family? 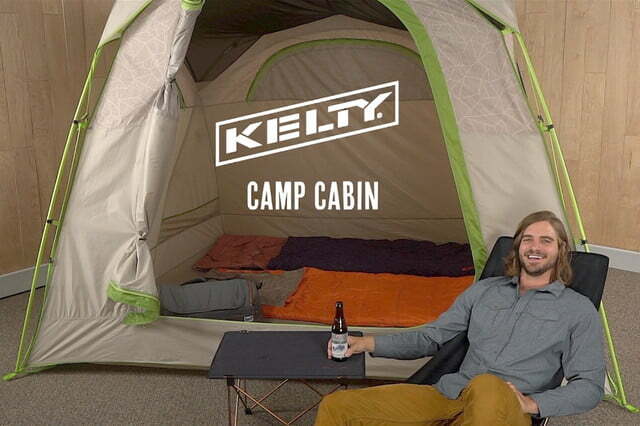 Thankfully, the new Kelty Camp Cabin bucks the trend of going smaller and lighter in favor of enjoying a few luxuries around the campsite instead. Tipping the scales at nearly 16 pounds, this tent is heavy enough that you won’t want to lug it with you into the backcountry. But if you prefer car camping, or don’t tend to wander too far down the trail, it brings a lot to the table. For instance, its interior is spacious with a floor that covers more than 62 square feet. 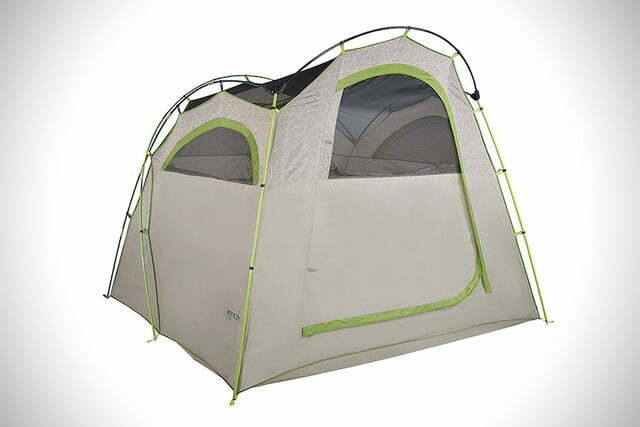 That is enough to comfortably sleep four people, with a little room to spare for gear. Better yet, the Camp Cabin’s ceiling is 6.8 feet in height at its lowest point, stretching out to 8.75 feet at its apex. The Kelty Camp Cabin also includes windows on all four walls of the tent, which can be opened to provide more light and ventilation, but closed for additional warmth and privacy too. An included rainfly helps to keep the interior dry during inclement weather, while the slightly angled ceiling allows rain to run off without collecting on the roof. Since it offers so much space, you won’t feel overly crowded inside should you need to take shelter during a storm. Other features include a large D-door for ease of access, steep walls for more useable living space, and internal storage pockets for keeping important items close at hand. 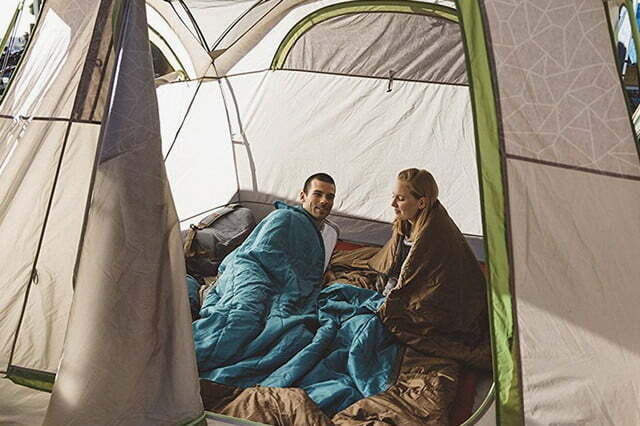 Built for use at festivals, overnight stays in the park, or just sleeping in the backyard, the Camp Cabin is a three-season tent meant for the more casual camper. 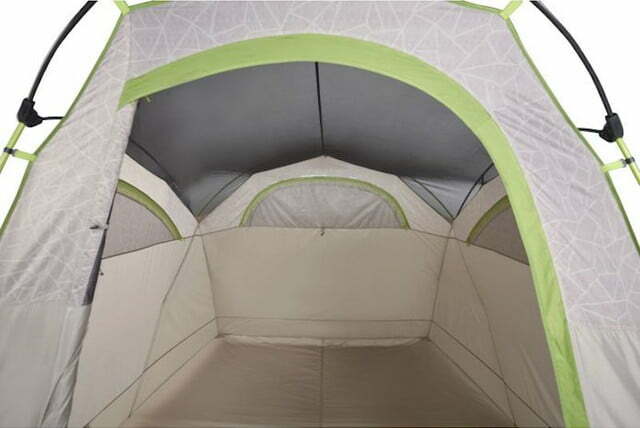 Its free-standing design makes it easy to set up just about anywhere and its durable nylon fabrics should make it a comfortable shelter you can use for years. It sells for $230 and is available now.